Srebarna Village: The Srebarna Village is situated on one of the hills that surround the Kodjabair reserve. 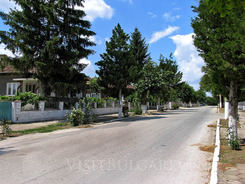 It is situated just 16 km away from the regional centre Silistra, along the way to the Rousse city. The village is situated on 39 square km. History: It is considered that the village was inhabited ever since 586-590 year B.C. The locals are ancestors of the so called “grebentsi”. They are considered as smart people with frivolous spirit. Today rebarna is famous for the reserve of the same name “Srebarna”. The waters of the reserve reflect the images of the beautiful house perched along the hill. It is one of the oldest biosphere reserves in Europe. The beautiful nature and rich history attracts many tourists, photographers, ornithologists and eco tourists. The reserve “Srebarna” reserve has a history of more than 60 years. 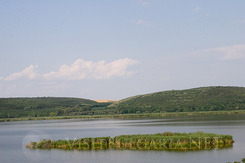 It is one of the oldest reserves on the Balkan Peninsula. It is spread on a total area of 902 hectares. There are several legends about the origin of the lake's name. The one is about a khan named Srebrist, who died in the neighbourhood whilst engaging in an unequal battle with the Pechenegs. A second one tells about a boat full of silver (srebro in Bulgarian) along the shores of the lake. According to a third one, which is regarded as most plausible, the name comes from the silvery reflections on the lake's surface during full moon. 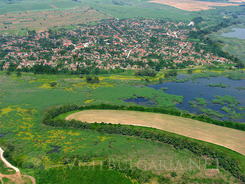 Srebarna Nature Reserve protects an important example of a type of wetland that was widespread in Bulgaria in the past. It shelters a diversity of plant and animal species, which are increasingly threatened. The wetland is an important breeding, staging and wintering site for a large number of birds. Floating reedbed islands and flooded willow woodlands provide important bird breeding areas. In the lake's northern end the reedbeds gradually give way to wet meadows. In the north-western end of the lake and along the Danube there are belts of riverine forest with single old trees of White Willow. A wide variety of fauna exists in the area. 39 mammal, 21 reptile and amphibian and 10 fish species inhabit the reserve, which is most famous for the 179 bird species that nest on its territory, some of which include the Dalmatian Pelican, the Mute Swan, the Greylag Goose, the Marsh Harrier, the Bluethroat, herons and cormorants. In 1983 Srebarna reserve was included in the world fund of the natural monuments by UNESCO.